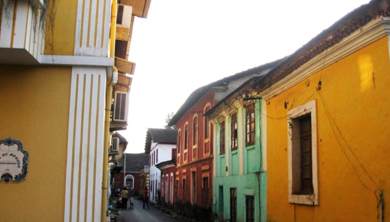 The Fontainhas Heritage Walk is an immersive walking tour in Goa narrating its past. Witness the Portuguese past that eventually survived the onslaught of development in the 21st century. The houses are dressed in yellow, green and blue, balconies fronted by wrought iron railings and tiled roofs transporting you to another era. Fontainhas is not only the oldest but the largest Latin quarter of Asia. Located at the foot of the hills, Altinho hills with springs surround Fontainhas on the west side, which give it its name from Portuguese for “little fountain”. 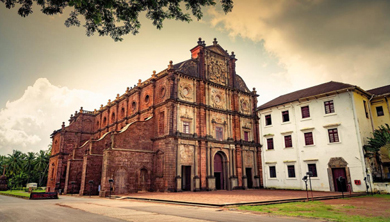 Get access to heritage homes, appreciate Portuguese architecture, meet wonderful people and experience the cultural side of Goa like never before. We will take you to meet a renowned Goan musician who plays Fado and Latin music. Sunset Cruise with Dinner at Mandovi River. There is lots of entertainment on board with young boys and girls dancing Goa's famous folk dances of dekhni and fugdi. There is live music or DJ music and all are invited to sing and dance and have a jolly good time, while the boat sails down the river. 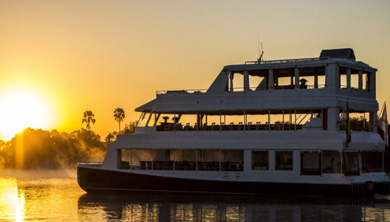 Refreshments and dinner is served on board with delicious flavor of vegetarian and non-vegetarian culinary delights. Private Candle Light Dinner at Beach Side. 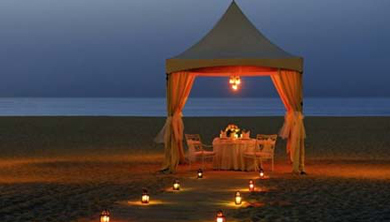 Candle light dinner in Goa beach are generally for the special ones to make them feel extra special. We bring to you the most romantic candle light dinner. Goa is known for its romantic aura, its beauty and above all, for its islands and waters. Dine in luxury, pamper yourself and your love with a scrumptious dinner with a candlelight setting. Feni Tour & Cashew Farm Visit. 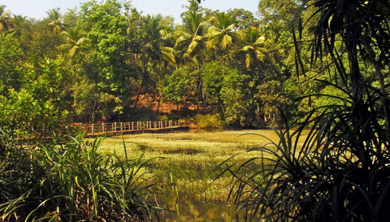 This farm tour experience will bring you closer to one of the prime highlights of Goa - the traditional drink of feni. The farm has a well-established cashew orchard spread over more than 100,000 square meters. Here, you will get an enlightening tour of Goa's claim to fame cultivation of cashews, whose fruit is being used to make the tangy drink. 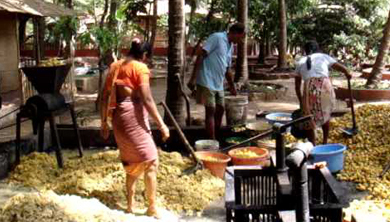 Watch the juicy fruits of cashew, also known as cashew apple being harvested, de-seeded and accumulated to be crushed, for the juice to be extracted. Befriend the host and you may get to taste the sweet fruit too. Learn more about this juice, locally known as neeru, which would then be stored in an earthen pot to be buried halfway underground. Shri Shantadurga Temple at Kavlem, Ancestral Goa (Big Foot) at Loutolim, Colva Beach, Dona Paula Bay, Goa Science Centre and Miramar Beach. Located on the banks of River Mandovi, Old Goa or Velha Goa (Velha pronounced as Vell-yea) means Old in Portuguese) was founded in the 15th century as a port town by the rulers of the Bijapur Sultanate. The town was captured by the Portuguese in 1510 and was the administrative of seat of Portuguese India. This town was known as “Rome of the East” thanks to its magnificent churches. Epidemics of malaria and cholera broke out in the 17th century and the place was abandoned by 1759. 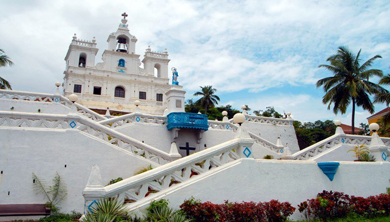 The capital was shifted to Panjim or Panaji which was then known as “Nova Goa” (Nova in Portuguese means new) is now the current capital of the state. Visit Basilica of Bom Jesus, Sé Cathedral de Santa Catarina, Church of St Francis of Assisi, St. Augustine’s Tower & The Archaeological Museum on the tour. convening to compare experiences on the heady Indian circuit and selling pairs of Levi jeans or handmade jewellery to help fund the rest of their stay. Nowadays things are far more mainstream and the merchandise comes from all over India: sculptures and jewellery courtesy of the Tibetan and Kashmiri traders; colorful Gujarati tribal women selling T-shirts; richly colorful saris, bags and bedspreads from Rajasthan; sacks of spices from Kerala; and the hard-to-miss bejeweled tribal girls from Karnataka pleading passers-by to ‘come look in my shop’. The best time to visit is early (from 8am) or late afternoon (around 4pm till close just after sunset). The first market of the season is around mid-November, continuing till the end of April. This tour takes you to visit Coco Beach situated at the mouth of the Nerul River on the Mandovi Estuary and famous Aguada Fort. Next comes the exquisite Mayem Lake which nestles sparkling silver among low forested hills. The tour halts for lunch here. 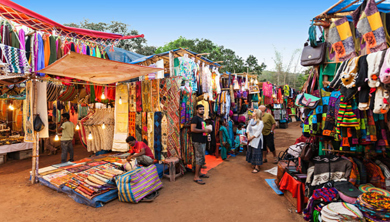 Then tour covers Vagator Beach, Anjuna Beach, Calangute Beach & Panaji Handicrafts Emporium. Great for foodies, this culinary experience takes place in a host home in the Orlim village of Goa. First, take a short walk around the village before heading to the river to catch crabs. Learn about the different cultural influences on Goan food. Plus, explore the large selection of spices and fruit trees in the garden. The meal features Goan-Portuguese fusion cuisine made from locally sourced ingredients such as fish cutlets, prawn curry, and caramel custard for dessert. The falls is easily accessible both from Mollem and Collem by road which passes through pristine forest areas. 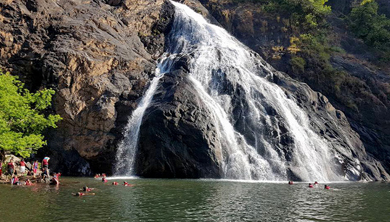 The Dudhsagar Trip will take the entire day. One gets to see a different side of Tourism in Goa. You can swim at the foot of the waterfall and enjoy watching monkeys roaming around freely. Spice Plantation Walk with Lunch. Spice Plantation guided tour will refresh your senses and make you feel a part of nature. Indulge in a riot of colors in our butterfly garden, as the latest additions to our already magnificent ecosystem fly around. Catch sight of some very rare and endangered species of birds. Feast on authentic Goan cuisines. Help yourself to generous servings of veg and non veg delicacies. High on nutrition and steeped in tradition, just the way you’d expect in the lap of nature. 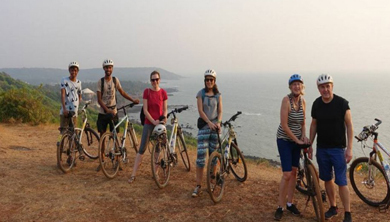 Bicycle Tour of South Goa. Experience the thrill and exhilaration of a testing cycling trail in Goa as you explore the Aguada Fort in Candolim, South Goa. 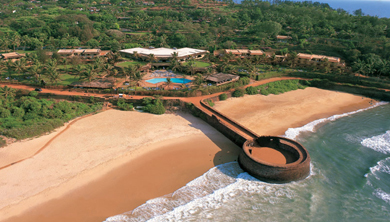 Amidst the hustle and bustle of Candolim, lie the ruins of Fort Aguada. Even though the area is crowded with restaurants and tourists, the ride up the hill presents a different picture. There are interesting places to see like the helipad, the light house, the central Jail walls and the panoramic view of the sea.